Indian director, screenwriter and film editor of Hindi films, best known for the films Munna Bhai MBBS, Lage Raho Munnabhai, 3 Idiots and PK. All the films directed by him went on to become huge successes at the box office. ​Rajkumar Hirani is a National Award and Filmfare Award winning Indian Director, screenwriter and film editor of Hindi films, best known for the films Munna Bhai MBBS, Lage Raho Munnabhai and 3 Idiots, earning him a well-respected place in cinematic history for some of the most influential and iconic films of the last few decades. Hirani has a reputation for making films that break all the formulaic conventions associated with Indian cinema, and address some of India’s major social and cultural issues. After completing a 3 year diploma at the Film and Television Institute of India, his first taste of success was in the world of advertising, before making the transition to cinema. 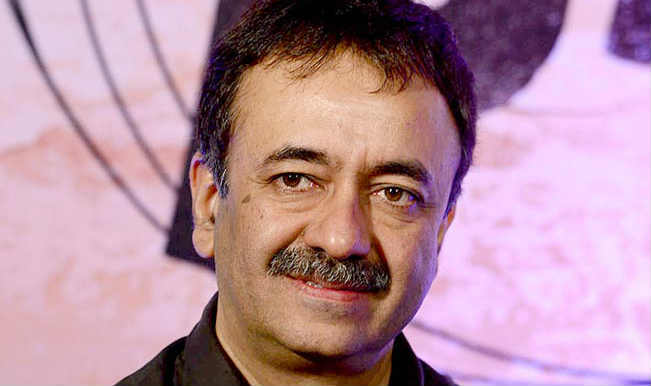 Rajkumar Hirani was born in Nagpur to a Sindhi family. His father Mr Suresh Hirani had a a typing institute in Nagpur. Hirani family migrated to India after Partition of India when Suresh Hirani was 14 year old. Rajkumar Hirani studied in St. Francis De'Sales High School, Nagpur, Maharashtra. Rajkumar did not had enough marks to get admission in engineering or medical courses so he did graduation in commerce.Rajkumar Hirani helped his father in his business but he wanted to be actor in Hindi films. In college days he was involved with hindi theatre. His father got his photographs shot and packed him off to an acting school in Mumbai. But Raju could not blend in and returned to Nagpur after three days. His father then asked Raju to apply to the Film and Television Institute of India in Pune, but the acting course had shut down by then and chances of admission to the directorial course looked slim as there were way too many applicants.So Raju opted for the editing course. He earned a scholarship, thereby reducing the load on his father's shoulders. After doing 3 year diploma in cinema with specialization in editing at Film and Television Institute of India rajkumar tried his luck as film editor for many years. Bad experiences forced him to shift to advertising.and gradually established himself as a director and producer of advertising films. He was also seen in a Fevicol Ad where some guys and elephants are trying to pull and break a fevicol plank saying "Jor laga ke Haisha".He was doing good in advertisement business but he wanted to make movies so he took break from advertisement and started working with Vidhu Vinod Chopra. He worked on promos and trailors for 1942: A Love Story.He edited promo's for Kareeb. He got big break as film editor with Mission Kashmir. Rajkumar Hirani's first directorial venture was Munnabhai MBBS which is considered as cult classic.Munnabhai MBBS not only broke all formulaic conventions associated with Bollywood films but also became a trend setter. Made on a budget of Rs 10 crores, it was a huge hit worldwide and has taken a distributors share of Rs 25 crores from the Indian market.. His second directorial effort was Lage Raho Munnabhai which had a strong cultural impact in India, popularising Gandhism under Munna Bhai's notion of Gandhigiri. The film was generally well-received by both critics and the mass audience and was a huge box office success.